Israeli cuisine, reflective of the Mediterranean diet, is redolent with fresh produce, legumes, fish, herbs, spices, and olive oil. But it was not always so. The first Hebrew cookbook, How to Cook in Palestine by Erna Meyer (1936), recommended: “We housewives must make an attempt to free our kitchens from European customs, which are not appropriate to Palestine.” Meyer appealed to adopt zucchini, eggplants, okra, and olives and eventually people did (although not so much okra). 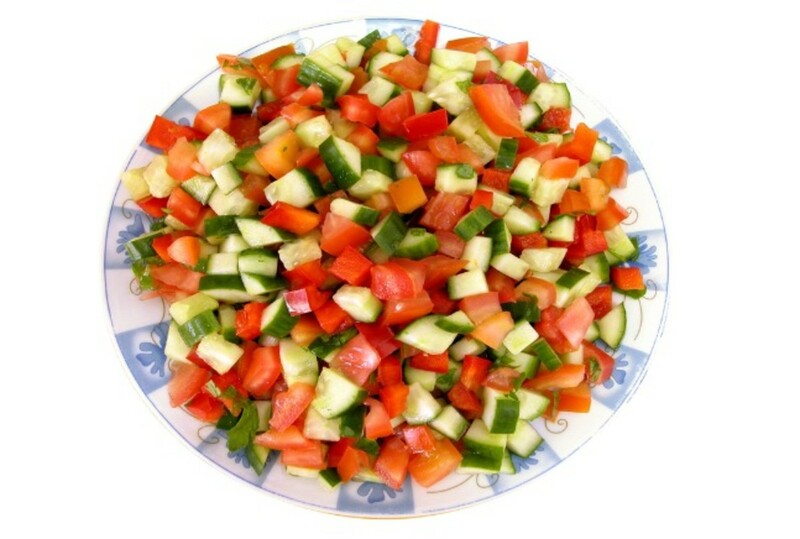 Diced cucumber and tomatoes became ubiquitous ‘salat’ or ‘Israeli salad.’ From the dining halls of kibbutzim arose a new way of eating and thinking about food, inspired by biblical Israel and based on the modern Levant. Some European food traditions endured. The German quark cheese emerged as the predominant Israeli processed dairy product, g&apos;vina levana. 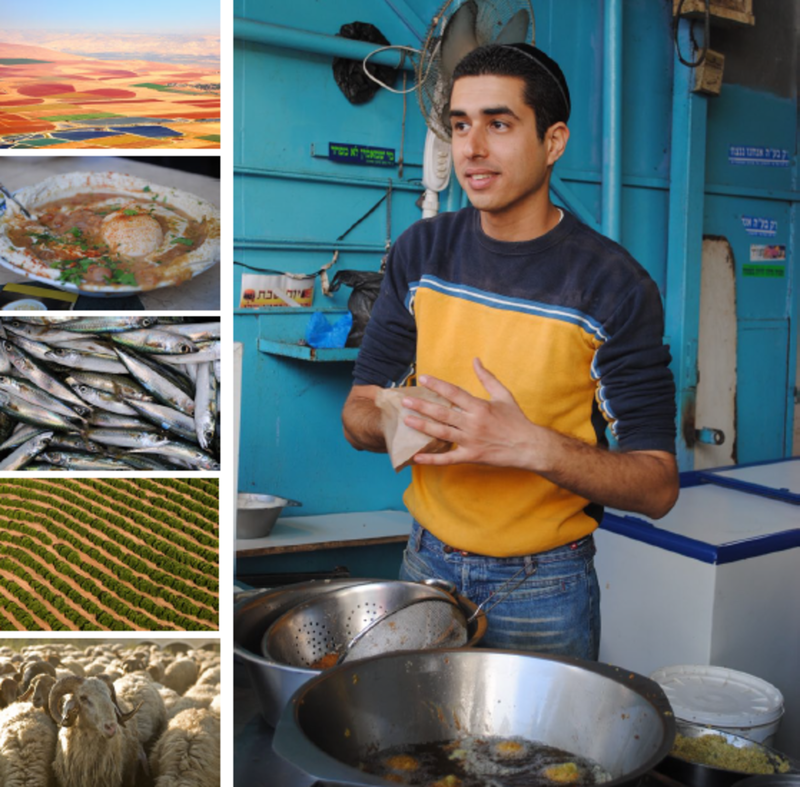 In due course, immigrants from more than 70 countries contributed to Israel’s culinary diversity and continuing evolution. The late 1940s till late 1950s, as the population more than tripled with refugees from Europe and Arab countries, was tzena (scarcity), a period of belt-tightening and government regulations. Israelis raised turkeys and chickens instead of cattle, and substituted these (or eggplant) for traditional meats, such as the veal in schnitzel and lamb in shawarma. Prime Minister David Ben-Gurion asked Osem to devise a filling and inexpensive carbohydrate, and the company responded with petitim – now frequently called Israeli couscous. From 1950 to 1955, surplus foods came from America, including bulgur. Because of the label on American oats, the Hebrew word for oatmeal became k’vaker (Quaker). A typical Shabbat dinner entailed foods from various cultures - egg challah, perhaps a Libyan fish (h’raimi) followed by Ashkenazic or Kurdish chicken soup (kubbeh) and a main of chicken schnitzel or stewed paprika chicken; dishes that could be cooked on a range or kerosene burner, as few homes had an oven or even refrigerator. The late 1960s was a turning point in Israeli culture and economy, as foreign influences pronouncedly infiltrated and incomes rose. Through the early 1960s, Israeli food consisted primarily of a simple selection of homegrown produce and packaged goods. Breakfasts and dinners entailed fresh rolls, a few simple jellies, ‘salat,’ olives, leben (coagulated low-butterfat milk in plain, strawberry, and chocolate flavors). Many households added a bowl of Shalva (slightly sweetened puffed wheat) or dysah (cooked cereal) and hard-boiled eggs or omelets. Hotels opted for imitating the kibbutz buffet breakfast rather than the sparse continental breakfast of coffee, milk, and roll. Over time, hotel breakfasts encompassed nearly everything allowable in a dairy setting, from Moroccan shakshuka (tomato stew with eggs) to Yemenite melawah (flaky bread). 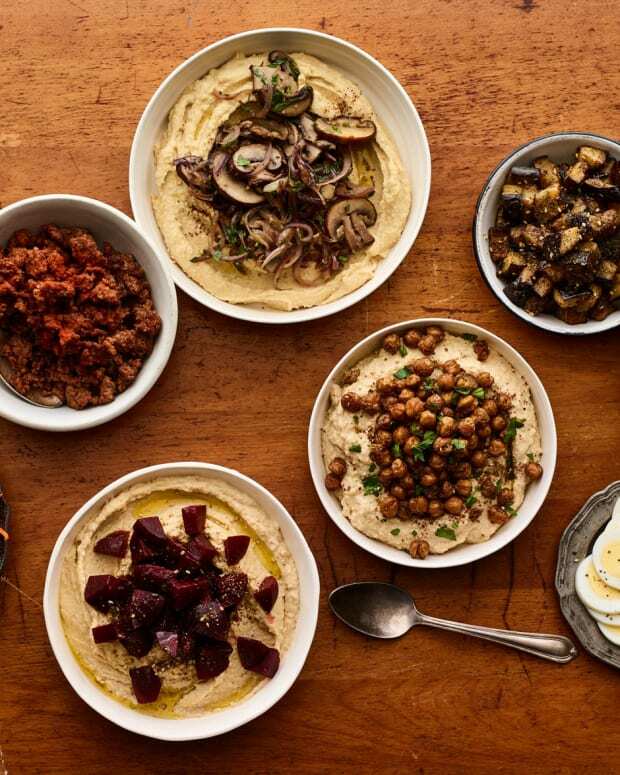 A number of Middle Eastern spreads/dips became integral to the cuisine, including chatzilim (eggplant), babaganoush (eggplant with tahini), matbucha or salat turki (stewed tomato and pepper), muhammara (red pepper relish), and, most important of all, hummus (chickpea). 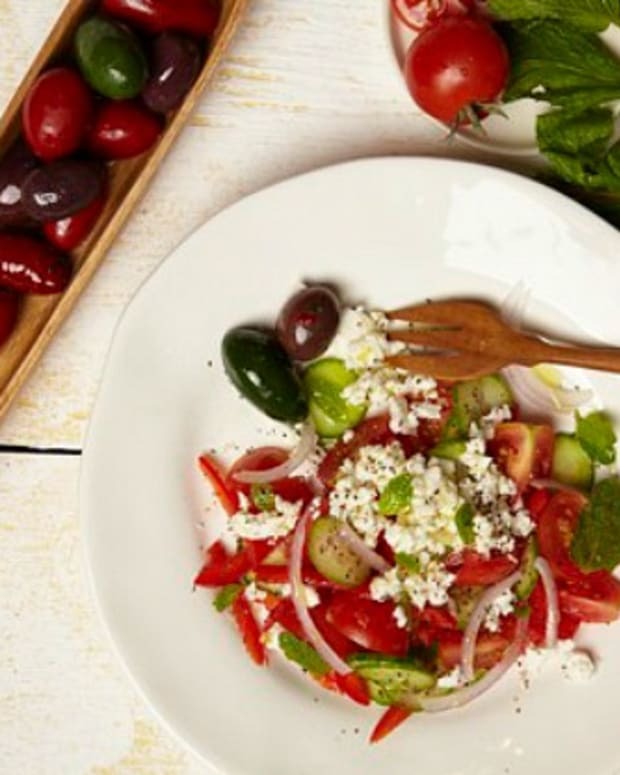 Today, an array of spreads, salads, and olives are sold in every grocery, while in restaurants and homes an assortment of them called a mezze start many meals. Continuing Israeli innovation produced pronounced changes in local (and the world’s) dining. In the 1940s on Kibbutz Beit Alpha, Israel created the Beit Alpha cucumber, a high-yielding, seedless variety, at maturity about one-inch wide. In 1973, members of Hebrew University cultivated the cherry tomato. Among Israeli melons are the green-fleshed Galia and Ogen. Israel became a leader in banana technology and responsible for about 20% of all the West’s bananas. Not only has dining-in changed, so too has dining out. At first, the few restaurants were principally patronized by tourists. Eating out meant inexpensive falafel from a kiosk or perhaps hummus. In the 1970s, grills called steakiya, a synthesis of Middle Eastern and European influences, spread. ‘Fine dining’ meant imitating Europeans. Today, Israel still has grills, but they are joined by an array of quality restaurants, ethnic eateries, and fast-food outlets. 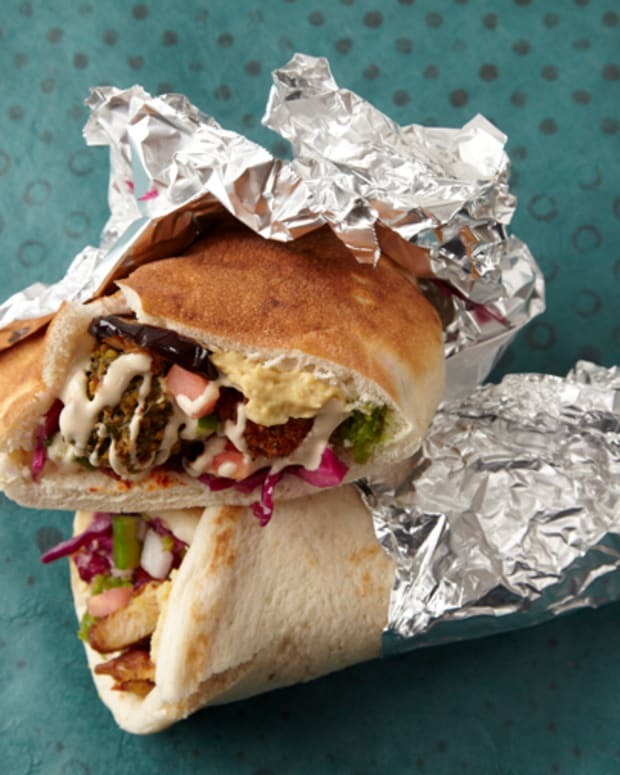 Fast-food transformed the way Israelis eat. In the early 1970s, Israeli pizza was tomato sauce on pita bread and hamburgers were associated with a European chain, Whimpies, and neither very popular. Today, McDonald’s, Burger King, and numerous local imitators and American-style pizza have conquered the land. More important are cafes, offering food as well as beverages, reflecting the Euro-Mediterranean style, intended for customers to sit and relax. By the 1980s, with the general rise in income and lifting of travel taxes, many Israelis traveled abroad, while countless soldiers following mandatory service took a long trek through exotic locales. They returned with an expanded culinary vocabulary and more than a few became chefs or founded eateries. Some Israeli chefs focused on haute cuisine as a vehicle for local ingredients, while others fused Mediterranean and Middle Eastern cuisine with international influences, engendering a genuine Israeli cuisine. After experimenting with butter and cream, many chefs found they preferred olive oil, lemon juice, and native ingredients. Instead of the French tarragon and lavender, they favored the local hyssop and cumin. Fine wines flow from the Golan and Galilee. Once ubiquitous foods vanished. 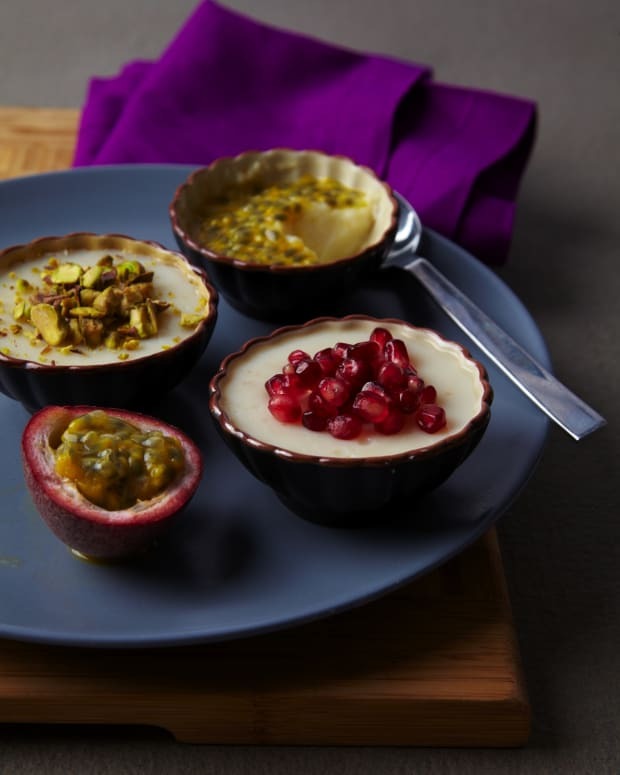 Beginning in 1977, leben was supplanted by yogurts carrying foreign pedigrees and sometimes containing exotic ingredients, such as lychee fruit and passion fruit. 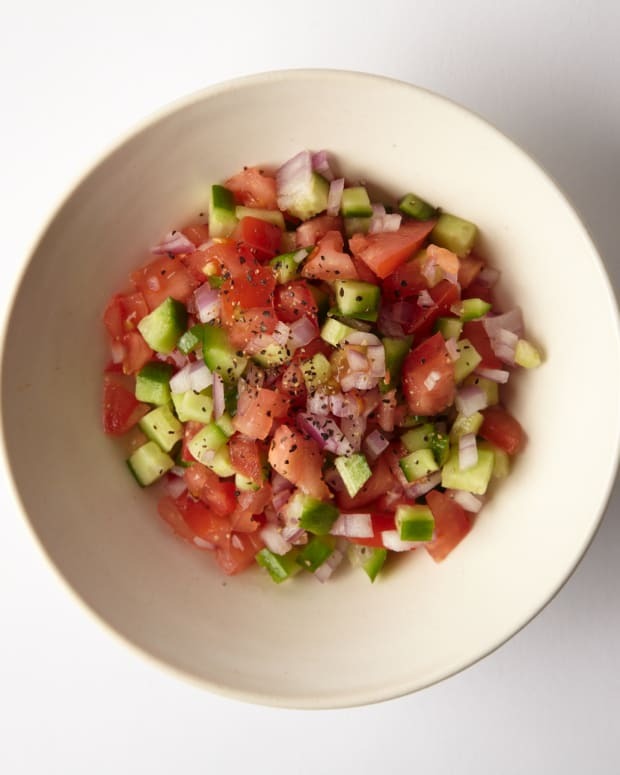 Health and sometimes flavor can be lost in contemporary Israeli dining. Breakfast all too often consists of corn flakes or cloying cereals, such as chocolate-covered oogiot (cookies) and chocolate cups filled with nougat. Ingredients in leading Israeli ice creams include vegetable oil and maltodextrin [a cheap thickener]; it does not taste like ice cream nor taste good. Beef overwhelmingly comes from Brazil, fed on corn and soy, which yields meat lighter in color and heavier in fat. American soft drink brands proliferate as do an array of local juices and nectars with sugar. 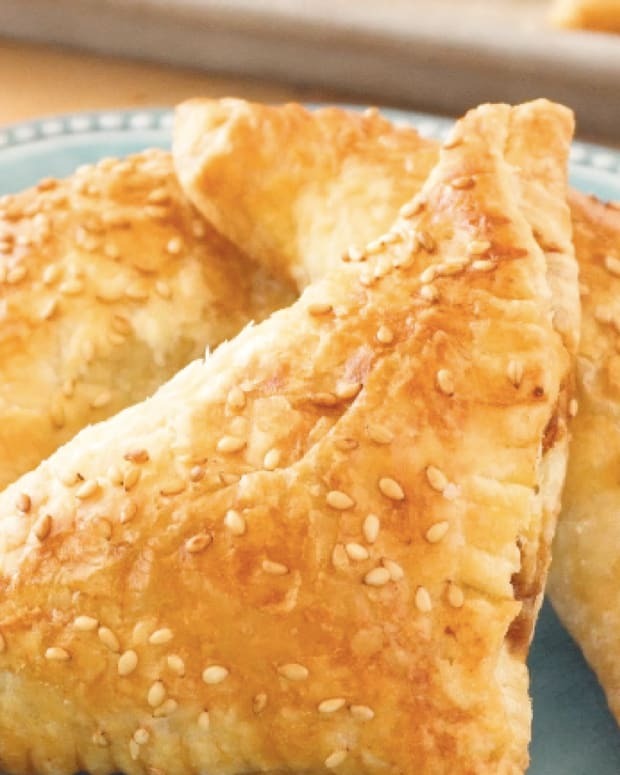 Snack foods are an integral part of Israeli culture, including the best-selling Babma (with 25% of the snack market), puffs introduced in 1963 as cheese-flavored, but changed in the following year to peanut. Bisli (with 15% of the snack market) are crunchy extruded curls in various flavors. Potato chips rank third. Among the current trends is the use of multiple flavors, such as strawberry-banana and raspberry-kiwi. Pomegranate and mango recently became very popular. On the other hand, some individuals and organizations emphasize sustainable food production and consumption (using the freshest natural and most flavorful ingredients possible with the maximum regard for the environment, local economy, and health), including organic agriculture, slow food and artisanal food, permaculture and eco-living, CSAs (community supported agriculture), and food co-ops. An increasing number of boutique food businesses, such as cheese, stress quality over quantity and expediency. 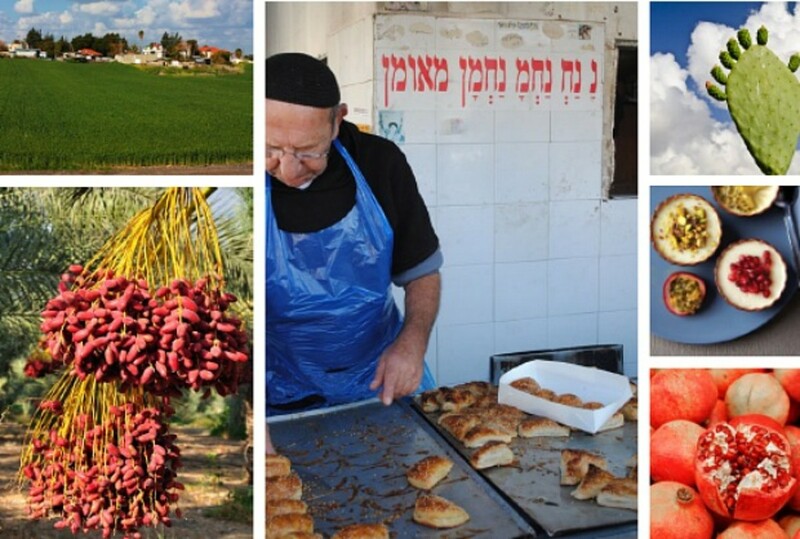 Culinary developments have not affected all Israelis. The poorer segments exist primarily on a handful of price-controlled items, a legacy of tzena -- i.e. white bread, chicken, eggs, and milk -- and tomato cucumber salads. 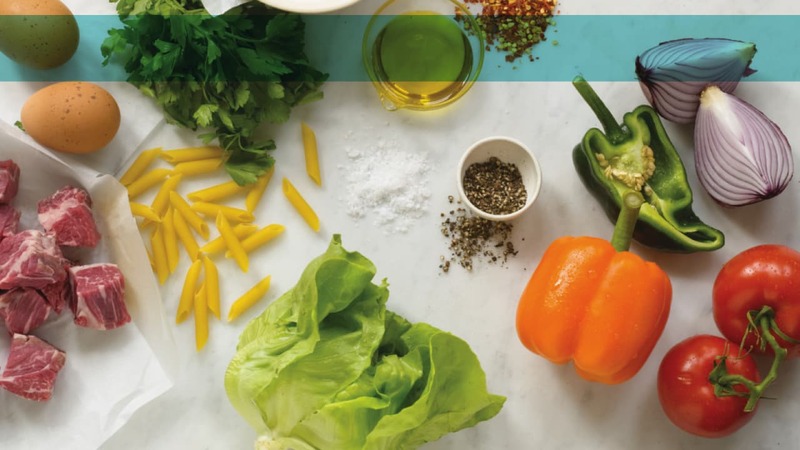 Nevertheless, at the beginning of the 21st century, the evolution of Israeli cooking continues, becoming more cosmopolitan, while accompanied with an emphasis on local and traditional ethnic cuisines. This article was originally published in Joy of Kosher with Jamie Geller Magazine (Winter 2012) - Subscribe now to get all the recipes.